The problems related to loss of memory can happen to anyone. It is sometimes one keeps on looking for the keys or other valuable stuff at home due to forgetfulness and overburden of work. One, in such situations does not feel fresh and try to avoid public places as they are not prepared for reaching out peoples at a go with full attention. Such memory issues can come to a person of any age and they are scary enough, leading to health issues. The people are affected by memory loss in different ways where it may be a momentary memory loss as it can happen to anyone out of the total. 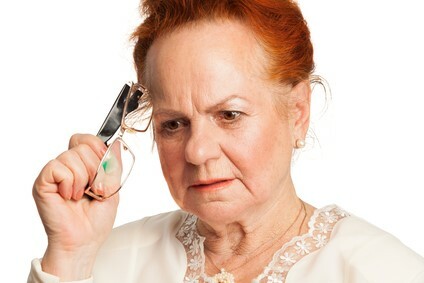 But when it becomes a regular notion of forgetting things at random it may be a serious issue where the person needs to seek for some medical advice. Under different medications like poor sleep, depression, etc., the medication differs accordingly. Some of the health specialist advice for a total dosage of 300mg per day of certain health supplements for getting rid of the memory complications. Medication- There can be several medicines that are being taken by the patients for curing certain problems but here the medicines affect the memory. In cases like antidepressants, painkillers, sleeping pills, Cholesterol lowering pills, etc., they might increase slightly the result of cognitive reversible side effects, which can lead to loss of memory. For such problems the medication needs to be adjusted by visiting the doctors for the same. Sleep disorders- These are conditions when one faces the problem of being complaints by the partner for snoring loudly at night, getting up in the morning with headache and fatigue throughout the day. The spatial navigational memory is affected by such sleep disorders. Memory loss symptoms arising from sleep problems are interrupted by low oxygen delivery to the brains resulting in fatigue and memory loss. Nutrient deficiency- The essential normal nerve functioning requires vitamin B and B12. Such deficiency of vitamins in a day can cause dementia and confusion. So, one should take an intake of 2.4 micrograms of B12 in their everyday diet and plan the meals accordingly. Some of the natural sources which are rich in vitamin B are dairy products, meat, fish and fortified foods like cereals, etc. Planning healthy meals will complete the vitamins requirements and can succeed in overcoming the problems of memory loss. Depression and anxiety- People that are juggling each day with the several responsibilities at home and at office face the challenge of work disorders where stress prevails. When the stress is remained untreated, it can result in depression, mood swings and affecting the functioning of the brain. It can be cured by medication and meditation also where counseling also plays a very important role. Alcohol abuse- Those who are strong drinkers face the problems of memory shortfalls as compared to the ones that are non-drinkers. Various stress cutting and memory enhancing supplements have proven miracles if taken in appropriate total dosage of 300mg per day. It might be worthwhile to try some of them and recover from such problems.